The Creative Change Awards are The Opportunity Agenda’s annual celebration of all things opportunity. For one night, we bring together the smartest, most innovative and most compelling voices in the movement to create full and equal opportunity. We trumpet our successes, plan for the challenges ahead, and raise the resources we’ll need for another year of fighting for mobility, equality, voice, redemption, community, and security. And when we’ve done all that, we get down! 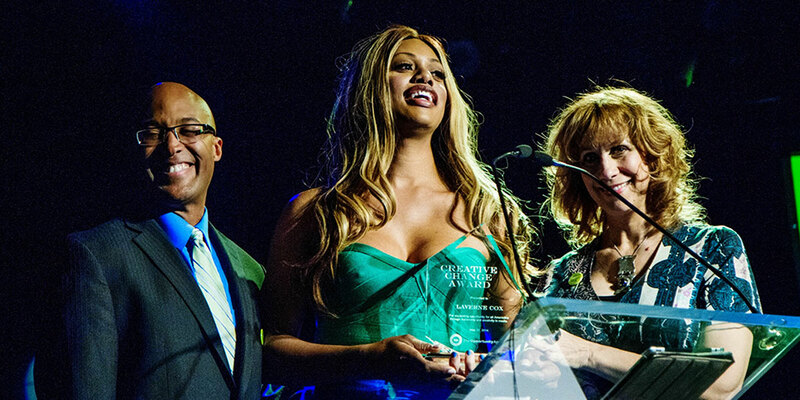 Past honorees and presenters include Anita Hill, Linda Sarsour, Susan Butler Plum, Toshi Reagon, D’Lo, Lorraine Toussaint, Dream Defenders and its leader Umi Selah, Daniel L. Greenberg, Lizz Winstead, Laverne Cox, CeCe McDonald, Jasiri X, Chesney Snow, Judy Kang, Melissa Harris-Perry, Negin Farsad, Bryonn Bain, Jose Antonio Vargas, and Cassandra Medley.